A forward thinking manager must create an atmosphere that fosters productivity and willingness to work towards fixed goals. Established in 1970 in Piraeus, Greece, Thenamaris (Ships Management) Inc. is a global ship manager of high specification modern ocean-going vessels providing its services as agents only. By 1978 the company was managing 50 vessels with a total deadweight of about 900.000 tons. 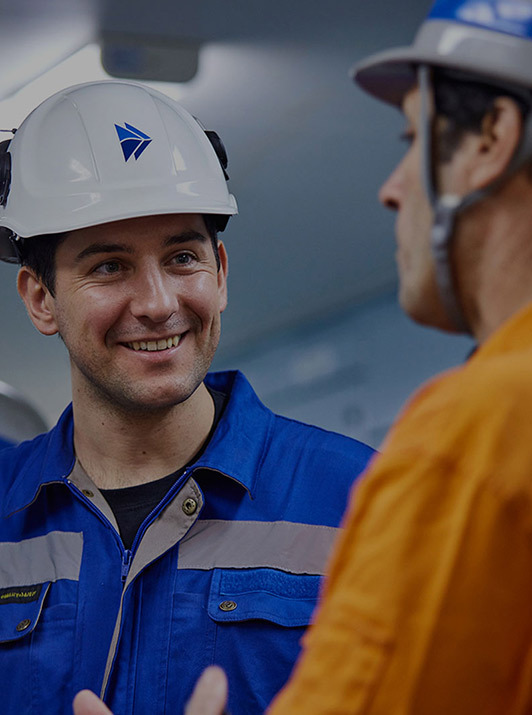 Now, more than 47 years since its foundation the company continues to deliver first class management services for a world-class fleet of ships which trades in all major commercial areas around the world. 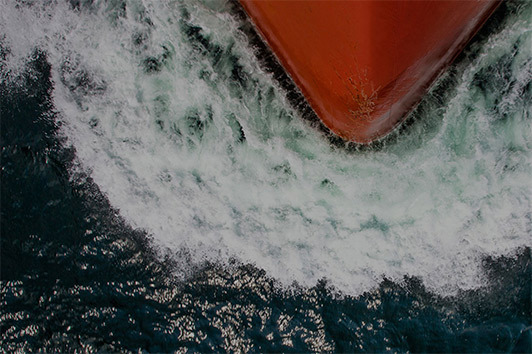 With years of experience and expertise in providing world-class excellence in ship management, Thenamaris was eager to create a fully responsive website showcasing in a clear way their fleet under management and people oriented approach while at the same time providing an excellent user experience and a fresh, clean look-and-feel. Based on the idea less is more, the new fully responsive website focuses on structure, functionality and visual appeal while at the same time conveying the company’s dynamism, forward thinking and understated confidence. We used smooth animations to focus user’s attention on headers that embody company’s beliefs while illustrating them through photo editing that revolved mostly around managed infrastructure and human personnel. Clean and crisp, the new website allows non tech-savvy guests to easily browse through pages in a linear fashion while the straight-forward menu and layout eases navigation throughout. 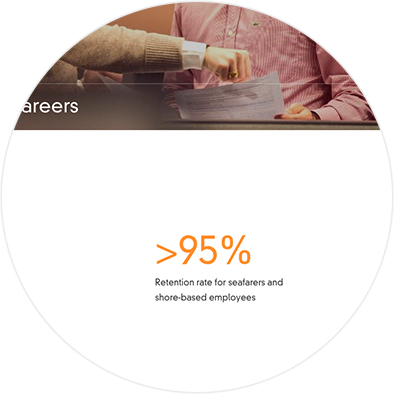 The website also features employee stories placed in strategical positions throughout the website to convey the company’s HR philosophy and CSR articles promoting Thenamaris’ approach to sustainability. 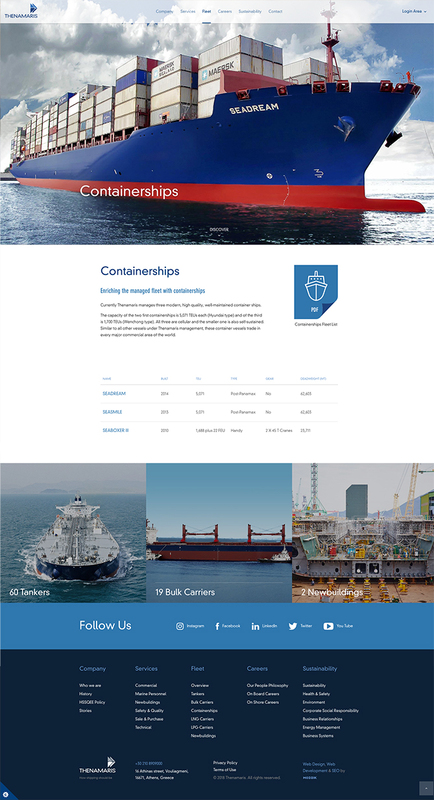 Overall, the new Thenamaris website follows the company’s progress, showing that Thenamaris competes on world stage not only in global ship management but also in graphic design and verbal style.